Resident Board Members: Drs. McCormick, Morgan, Douglas and Hudson. Student and resident board members for the MAFP and MAFP Foundation Boards were recently elected by their peers at Spring Fling Conference April 21. Candidates submitted a letter of interest, current CV and photo to apply. At the Spring Fling conference, each candidate gave a speech and participated in campaigning. Votes were cast by MAFP student and resident members and the newly elected board members for the 2018-2019 term are pictured on this page. 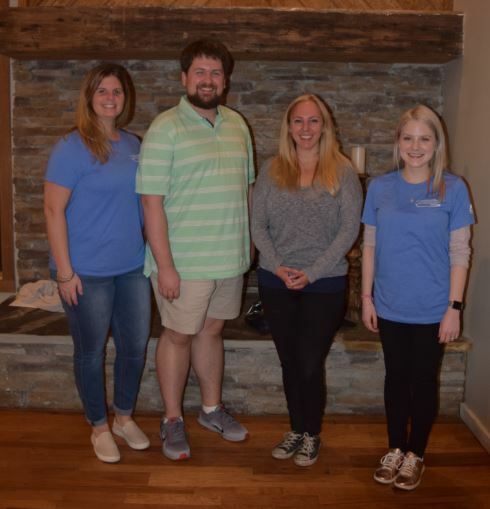 These students and residents will participate in an induction ceremony for MAFP or MAFP Foundation Board during the Annual Meeting in Sandestin FL this year. Resident board members are: Jessica Douglas, MD (UMMC – PGY3); Sarah Hudson, DO (FGH – PGY-2); Lindsey McCormick, DO (EC Healthnet – PGY-3); Stephen Morgan, MD (NMMC – PGY-2). Drs. McCormick and Morgan will serve on the MAFP Board while Drs. Douglas and Hudson will serve on MAFP Foundation Board. 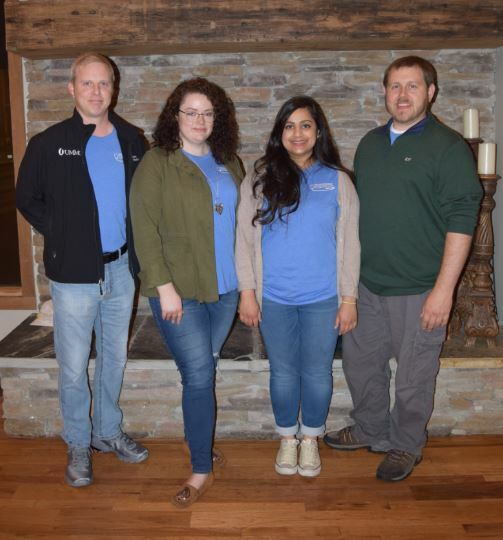 Student board members are: Will Casey (UMMC – M4), Falan McKnight (UMMC – M4), Adam Purvis (WCUCOM – M4); and Anita Santpurkar (WCUCOM – M4). Casey and Purvis will serve on the MAFP Board, and McKnight and Santpurkar will serve on MAFP Foundation Board. Student Board Members: Casey, McKnight, Santpurkar, Purvis. These board members will represent student and resident membership throughout the state. Each board meets at least 3 times per year (Spring Conference – Jackson MS, Annual Meeting – Sandestin FL, Fall Meeting – Pickwick State Park, TN). – A member of the AAFP / MAFP. – A 2nd or 3rd year medical student in good standing at a medical school. – A resident in good standing at a residency program.